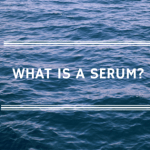 Hyaluronic acid serum reviews – What is a serum? There are lots of different anti-aging products on the market, each one promising their own solution to younger looking skin. Facial serums or anti-aging serums have become very popular in the last few years, but as with most beauty products there are some many different formulations that selecting just one can be problematical.